"If you don't know who I am, maybe your best course would be to tread lightly." Walter White as his alter ego, Heisenberg! Featuring the likeness of Bryan Cranston as a simplified retro Kenner format! 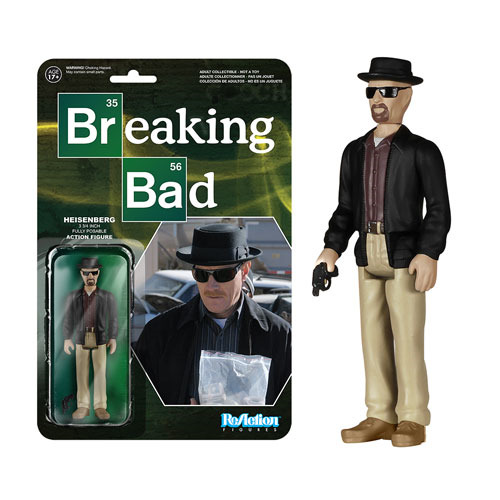 Breaking Bad fans will be jonesing for this 3 3/4-inch tall action figure. The Breaking Bad Heisenberg ReAction Figure has 5 points of articulation and features the 1980s style card back design. Ages 17 and up.